But is still a child at heart with Goofy sweater. It's not an easy feat to avert attention from global superstar Rihanna. 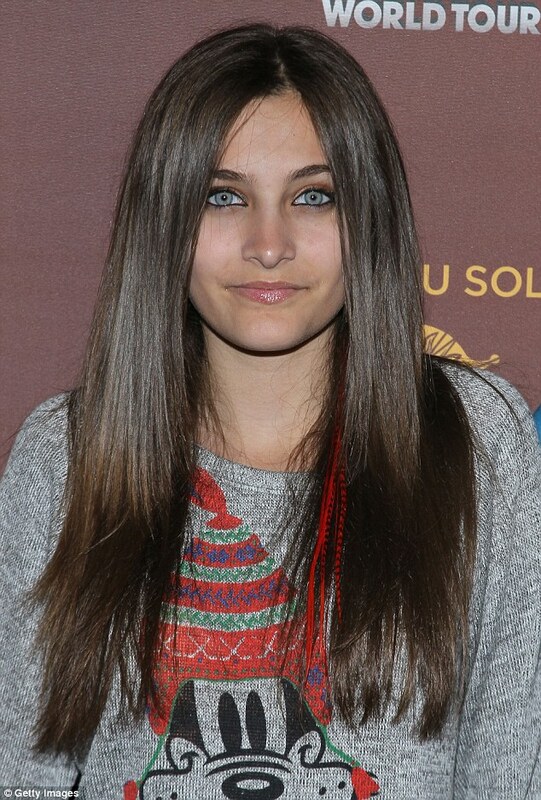 But Paris Jackson stole the singer's thunder last night with her incredibly striking aquamarine eyes. 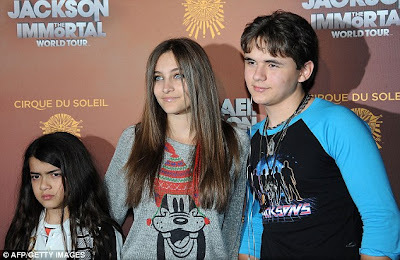 The 13-year-old, who never got to see father Michael perform in concert, witnessed the next best thing last night at the Staples Centre in LA as she watched the premiere of The Immortal World Tour. The masterpiece is talented contortionists Cirque Du Soleil's critically-acclaimed tribute to the icon. Neither Paris - nor brothers Prince, 14, and nine-year-old Blanket - ever saw Michael on stage as his death in June 2009 came before he was scheduled to embark on a mammoth 50-date tour. The trio already had a taster of last night's performance after seeing the company tease fans with a snippet at Grauman's Chinese Theatre on Thursday at a ceremony to remember their father. He never got the chance to commit prints of his hands and feet to the cement outside the legendary venue for posterity, so his progeny did it for him.